Hello ! I teach children from 11 to 16. I live in the French alps, and I just love this incredible site ! 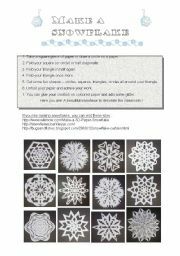 A fun activity that gets really exciting for the students if you give them a time limit. They have to find their way in town and tell the buildings they´re goint past. 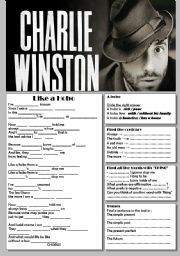 Fully editable, key included. 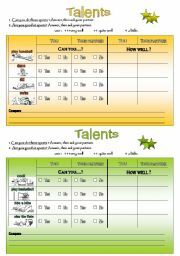 A worksheet I often use as a test, hope it can help...Have a great day ! 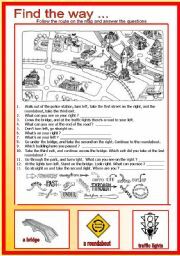 This is an oral comprehension activity. The song is on youtube, the key is included. Have fun ! 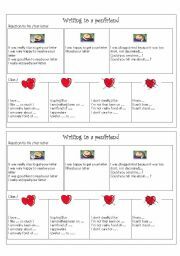 I created this worksheet to make my students work on can / can´t / must / mustn´t. They really enjoyed it, hope yours will enjoy as well ! Students have to respect directions to introduce themselves on the computer and print their presentation, with their picture. 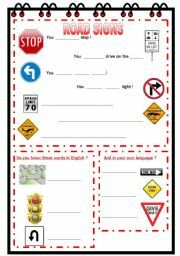 can help validate the B2I for French teachers. British or American English ? 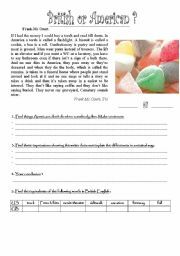 A worksheets based on a nice text from Frank Mc Court that I use to illustrate the differences between the two cultures and their languages. 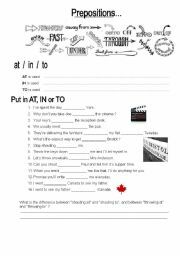 This worksheet will be useful to your students if they often get confused on the prepositions IN, AT, TO. It also makes them think about the difference between "throwing at" and "throwing to". The key is included. A presentation of the famous group we all know with a few questions for the pupils. Although I tried hard, I couldn´t make it in one file, hope you like it anyway ! This is a powerpoint presenting Australian wildlife. When the animals presented are easy, the pupils just guess the name, when they get more difficult, they have a multiple choice question. Have good fun ! Second part of the presentation with a kind of quiz on the most famous songs, and pictures of Beatles fans. A presentation of australian cities, with a map to complete, and its answers. Enjoy !